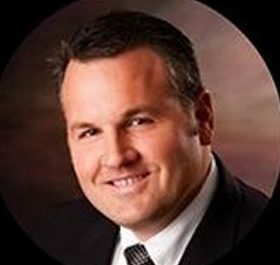 Joe is a client executive with Hylant, one of the largest privately held insurance brokerage firms in the United States. With 13 years of experience in the insurance industry, Joe understands the importance of a competitive employee benefit program in today’s marketplace. He is recognized for his ability to deliver tailored, and sustainable, cost management solutions for his clients. He provides in-depth analysis for all benefit funding mechanisms and works with his clients to meet budget guidelines. Joe is a member of broker advisory boards for United Healthcare and Aetna, and he serves on the Florida Restaurant and Lodging Association Insurance Council. Joe received his bachelor’s degree from the University of Florida. After learning about the Mustard Seed and its mission from a friend, Joe sought an opportunity to get involved and help those in need of a fresh start. William (Wil) Lee Price is the director of marketing and operations for the Central Florida Fairgrounds. 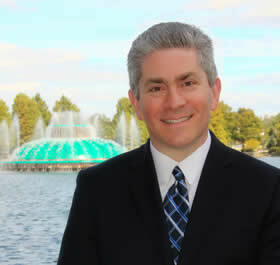 As Director of Marketing, Wil promotes the annual fair and its new Orlando Amphitheater. His marketing campaign for the 104th Annual Fair in March of 2016 generated 38 million ad impressions, which lead to an increase in net revenue of 45 percent. His duties as Director of Operations require him to oversee the implementation and execution of more than 145 events annually; hosting an average of 2 million visitors per year; generating approximately $50 million in economic impact in Central Florida. Prior to joining the fairgrounds, Wil spent seven years with D.R. Horton Homes as a project manager and salesperson. Locally raised, a graduate of Winter Park High School and Rollins College, with a Bachelor of Arts degree in Economics and Business Management, he attributes much of his career success to training and the Esprit de Corps, which he received in the United States Marine Corps. Wil received numerous commendations including the Navy Achievement Medal (NAM) and was discharged honorably as a Corporal of the Marines. Kristan Braswell is a marketing and design professional with 18 years of experience managing client pursuits and project delivery in a variety of industries. She currently serves on the strategic insights team at Tupperware Brands Corporation HQ in Kissimmee, FL. Kristan earned a Bachelor of Science (BS) degree in marketing from Florida State University in 1999 followed by a Master of Business Administration (MBA) from University of Florida in 2015. Kristan is passionate about helping teams use the latest technology to enhance and grow their service lines, and she intends to use these skills to support The Mustard Seed. She first became involved with The Mustard Seed through a community service project with her alumni association and was moved by its mission and the invaluable support the organization provides to the local community. 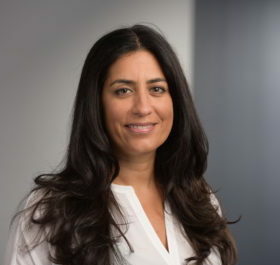 Ana has been in the healthcare industry for over 20 years and is currently a District Sales Manager for Medtronic, a global leader in medical technology, services, and solutions. In this role, Ana leads the sales team in the Cardiac Rhythm and Heart Failure Business Unit within the Orlando, Leesburg and Coast areas. She began her career with Medtronic 15 years ago in the South Florida marketplace and has recently moved to Orlando. A native from Puerto Rico, Ana has a Bachelor of Science in Industrial Engineering and a Master of Business Administration from Florida International University. She is a member of several diversity and inclusion employee resource groups and co-chair of “LEAD”, Latinos Engaged and Developed, a Medtronic ERG, whose goal is to empower and promote leadership opportunities within the workplace. Ana became inspired to get involved with The Mustard Seed by Medtronic’s Mission and commitment to give back and help our community. On a personal note, Ana enjoys spending time with her husband, Tim, and her family. Company: Independent consultant, certified mediator in state circuit and county courts and volunteer mediator at the Orange County Courthouse. Bruce is semi-retired from civilian legal and military careers spanning 39 years. He served as a prosecutor, defense counsel and judge in state, federal and military courts. He was the senior reserve judge advocate in three Air Force major commands and deployed as the chief of staff and staff judge advocate at the Office of the Defense Representative for Pakistan at the U.S. Embassy in Islamabad, Pakistan. Notably, for his accomplishments during his tour in Pakistan, the Secretary of Defense awarded Bruce the Defense Superior Service Medal, the Defense Department’s second highest peacetime Joint award. He retired in 2016 from his position as an assistant United States attorney for the Middle District of Florida in the Orlando office. He currently offers his services as an independent consultant and as a certified mediator in State Circuit and County Courts. He also serves as a volunteer mediator at the Orange County Courthouse. He graduated from Duke University with a B.A., majoring in political science and history, and he received his law degree from the West Virginia University College of Law. Since moving to Florida in 2000, he has been active in annual fund-raising for Food For The Poor, and he was a volunteer patient provider for Hospice of The Comforter, where he also served a term on the Ethics Committee. He is extremely grateful to have been selected to serve a term on The Mustard Seed Board of Directors. Robert (Rob) Lowe is the Director of Human Resources and Corporate Talent Acquisition for JBT Aerotech in Orlando. He joined the company in August 2017. In his current role, he leads the HR function for JBT AeroTech globally, which has operations in North America, Europe and Asia. He also heads Corporate Talent Acquisition. With more than 20 years of experience, Rob has held leadership roles in Human Resources for several Fortune 500 companies. Prior to joining JBT AeroTech, he served as Senior Human Resources Director for The Nature’s Bounty Company based in Boca Raton where held the HR function for the Southeast and West regions, which included multiple packaging and manufacturing plants across Florida, Texas, California and Arizona. Rob moved to Central Florida after joining Dean Foods in October 2009 where he was the Senior HR Manager for the Florida Division, which was comprised of T.G. Lee Dairy in Central and Northern Florida and McArthur Dairy in South Florida. 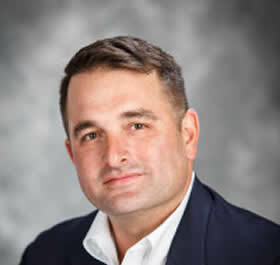 He also has held HR leadership roles with other industry leaders including Accenture, Cummins Engine Company and Alcoa. In addition, Rob was the founder and owner of HR Pacesetters LLC, which provided Human Resources Consulting to small and medium-sized businesses in the Memphis and Northern Mississippi areas. Rob also has served on the Board of Directors for various professional and community-based organizations. He served on the Board of Directors for the South Florida Manufacturers Association. He also served as Chairman for the Board of Directors of the Employers Association Forum and as the President of the Orlando Chapter for the National Association of African-Americans in Human Resources. His other past board memberships, include supporting the Business Advisory Committee for Valencia College, the United Way of the Mid-South including the Allocation Committee for Desoto County, the Olive Branch Metro Park Association and the Gift of Swimming in Orlando along with several others. 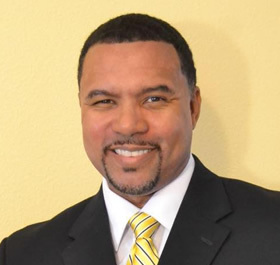 He is a past member of the Society of Human Resources Management for Central Florida and has been a past member of several NBMBAA Chapters. In 2016, Rob was recognized by Legacy Magazine as one of the “50 Most Powerful and Influential Black Professionals in Business and Industry for South Florida.” In 2006, Rob was named “Business Leader of the Year” by the Marshall County School District in Mississippi. He is a proud member of Alpha Phi Alpha Fraternity, Inc. Rob has a Bachelor of Science degree in Business Management and a Master of Science in Human Resources Development both from Indiana State University. Rob holds a SPHR and SHRM-SCP certification. He is also a certified Circuit Court Mediator for the Florida Supreme Court. 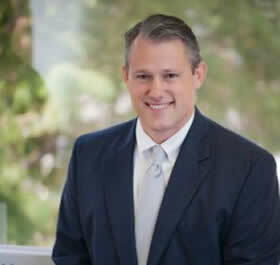 Mike Brodsky is a financial advisor and managing director with Brodsky, Paynter & Associates, a financial advisory practice of Ameriprise Financial in Orlando. Mike graduated with an Economics degree from Yale University in 1990, and an M.B.A. from Duke University in 1992. He started in the financial services industry with Smith Barney in 1997. Mike has received the certifications of Accredited Portfolio Management Advisor and Chartered Retirement Planning Counselor from the College for Financial Planning. 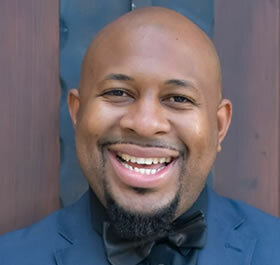 He also has previously worked as a television news producer with the NBC affiliate in West Palm Beach and as a producer for America’s Health Network. 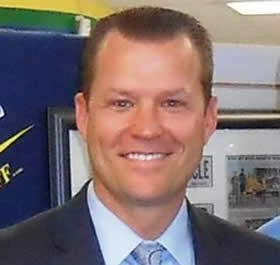 He is currently the president of the Yale Alumni Association of Central Florida and the All-Ivy Club of Central Florida. 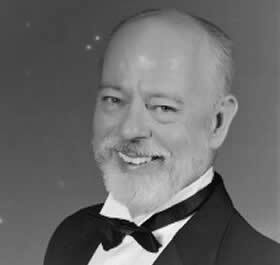 He is also a member of the Board of Directors for Distinguished Young Women of Florida and the Jewish Chamber of Commerce, and has previously served as a board member for the JCC of Greater Orlando, the Center for Memory Disorders, and the Orlando International Fringe Festival. Mike is also the author of the book, Incremental Improvements: Change Your Life One Small Step At A Time. Mike lives in Oviedo with his wife, Lisa, and his children, Sara and Jake. Ramces Rouzard Jr. was born in Naples, Florida at North Collier Hospital. His mother, Viergelie Rouzard, and father, Ramces Rouzard Sr., were both born in Haiti and came to the United States as migrant workers in Immokalee, Florida where they raised Ramces. Ramces is a singer, songwriter, television host, entrepreneur, business owner and motivational speaker. His unique company, In/The/Mirror, aims to impact, influence and inspire others using the business’s media platforms. Ramces created a one-on-one interview segment called, “The Reflection Show on In/The/Mirror,” in which interviewees share their unscripted stories. Ramces has interviewed successful individuals and asked them questions that spark self reflection. Ramces has been blessed to interview former NBA player Adonal Foyle, actor Kevin Sorbo, actor T.C. Stallings, director, producer and screen writer David A.R. White and California-based KBLX-FM radio personality Armand Carr, as well as many more. In/The/Mirror creates an experience that can truly affect a person’s life in a positive way. Ramces is a man of faith and is married to his beloved wife, Jennifer. They reside in Orlando. As the General Manager of Sissine’s Business Solutions, Mike Sanguine is responsible for running all facets of the business. He graduated from the University of Florida and has been in the technology space for 15 plus years. He specializes in taking a full assessment of the current situation of a customer’s needs and providing a road map for success in order to accomplish those requirements. He has provided millions of dollars in savings through rightsizing the technology and increasing the efficiency for each situation. The solutions implemented are the perfect fit for executives, managers and office personnel who are tired of spending the majority of their budgets on support rather than on the innovative, state-of-the-art technology that can vastly improve workflow and productivity. Maria is a graduate of Lehigh University in Bethlehem, Pa. where she earned a graduate degree in Human Development and a BA degree from DeSales University in Allentown, Pa. She also holds a certificate in the Management Program from Rollins College, Crummer Graduate School of Business. She is the Associate vice president for Human Resources and Risk Management at Rollins College. Prior to Rollins, Maria was employed by Lehigh University as Employment Manager. She has been active in the College and University Professional Association on Human Resources (CUPA-HR) at the Chapter, Regional and National Level, having served as Chair of the Southern Region CUPA-HR and as a Board member of the National CUPA-HR. She is also a member of URMIA (University Risk Management and Insurance Association). She is a Board Member of the ICUBA Independent Colleges and Universities Benefits Association. She is also a member of the United Arts of Central Florida HR committee. As the former Director of People Operations for LSQ Funding, Jennifer guided and implemented the company’s people strategy. She was directly responsible for all areas of Recruitment, Onboarding, Employee Development, Performance Management, Policies & Procedures, Benefits, Succession Planning and Engagement, and Retention. Before joining LSQ, she was a Regional HR Leader for Rasmussen College, supporting employees across nine locations in three states where she led initiatives around Performance Management, Training & Development, Coaching and Succession Planning. Prior to that, she was with a Global Human Resources consulting firm called Right Management where she worked with professionals on how to propel their careers through change management and career development initiatives. 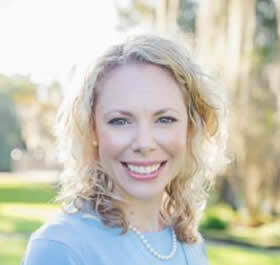 She earned her Bachelor’s degree in Organizational Communication from Rollins College and holds active PHR and SHRM-CP certifications in Human Resources. 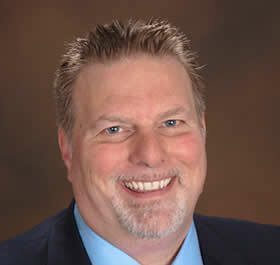 Gary Rall is Vice President of Design and Development at Holiday Inn Club Vacations. Prior to Holiday Inn, he was the former Vice President of Resort Renovation & Design and Supplier Diversity Champion for Wyndham Vacation Ownership (WVO) headquartered in Orlando. A dynamic leader with more than 25 years of industry experience, Gary oversaw the capital reserve budgets, interior design, procurement and renovation of more than 100 plus CLUB WYNDHAM®, Margaritaville by Wyndham and Shell Vacations resorts across the country. Prior to joining WVO, he held the position of Senior National Project Director with Accor North America in Columbus, OH. In addition, he held the position of Senior Construction Manager with Cole National Inc. in Twinsburg, OH. Gary’s know-how in handling large, complex projects has proven invaluable to the success of WVO and in January 2013, Gary offered his expertise to Give Kids the World (GKTW), with the idea to undertake an “Extreme Village Makeover.” This took place January 2014, and resulted in the complete refurbishment of 88 two-bedroom, two-bathroom villas. 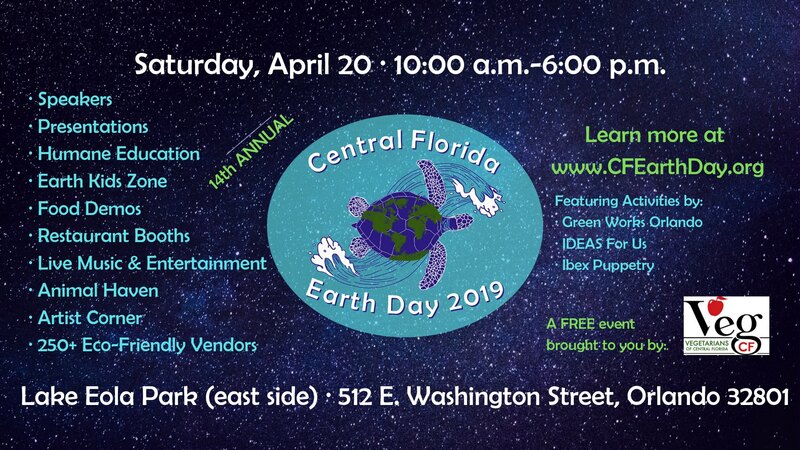 Gary and GKTW worked directly with more than 500 vendors, contractors and subcontractors and coordinated over 8,395 WVO volunteer hours to complete the project. In April of 2015, Gary was recognized by his peers at the ARDA World Convention for his leadership efforts and proudly accepted, on behalf of WVO, the coveted ACE award for Community Service. A native of Ohio, Gary played NCAA football while majoring in business administration at Mercyhurst College in Erie, PA and has been married to his wife, Alice, for 31 years. He is the proud father of four children and grandfather of two. A New Orleans native and graduate of Louisiana Tech University, Dana moved to Orlando in 1988 to pursue her career in aerospace distribution sales. Dana retired in 2016 as VP of Sales Eastern Region from Wesco Aircraft Hardware Corp. where she was managing $160 million in annual sales. During her tenure at Wesco, she relocated to the corporate headquarters in Valencia, CA to manage the Western Sales Division for two years and returned to Florida with a mission to expand the market share in the Southeast. The small, successful family-owned business became a publicly traded company on the NYSE in 2011. Cheryl Smith is the Senior Manager of Consumer Marketing and Sales for USA Today Sports Media Group’s, Golfweek Magazine. She is responsible for planning, executing and monitoring marketing campaigns, subscription sales and engagement strategies to grow the magazine’s audience to exceed revenue goals. 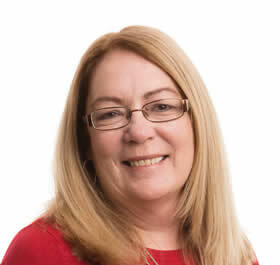 Prior to joining Golfweek Magazine, Cheryl spent 27 years with Cox Media Group (CMG) in various sales and sales management roles within the company. She also served as a Diversity & Inclusion Ambassador at CMG’s WFTV/WRDQ ‘s Diversity & Inclusion Team. 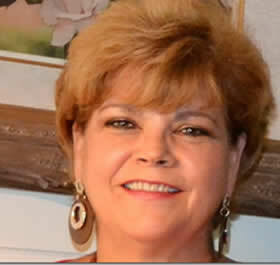 Cheryl was formerly an Internet Sales Manager & Account Manager for Cox Radio Orlando’s six station cluster in Orlando. She was also a Co-Host of the Marketing ADvisors Show on Cox Radio’s WDBO in Orlando. Prior to moving to Orlando in 2008, Cheryl spent 21 years in various rolls in Advertising Sales & Sales Management within the CMG organization. 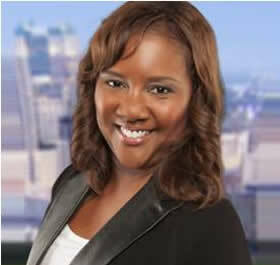 She started her career as a Sales Assistant in Retail Advertising with the Atlanta Journal-Constitution (Cox Newspaper). Cheryl has received various industry awards and recognitions throughout her career. And in 2007, she was among 10 newspaper industry professionals chosen to participate in the Newspaper Association of America’s 2007 Digital Media Fellowship Program. The yearlong program develops the leadership and business skills of newspaper professionals as newspapers expand their digital portfolios. Cheryl grew up in Atlanta, GA., and has a Bachelor of Science (BS) degree in Political Science from Tuskegee University. She also holds a Masters Degree in Business Administration (MBA) from Clark Atlanta University. She is a member of various civic and professional organizations, including The Girl Friends, Inc., Alpha Kappa Alpha Sorority, Inc. and the LPGA Amateur Golfer Association. In addition to The Mustard Seed, Cheryl also serves on the Board of Visitors at Morgan State University’s School of Global Journalism and Communications. In her down time, Cheryl enjoys playing golf and traveling. 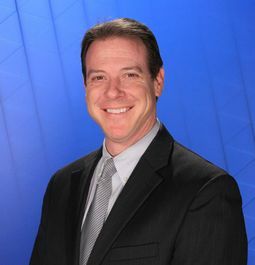 Ken Marks is a television and digital marketing specialist for Hearst Television (WESH 2 NBC, WESH.com and MeTV). He has spent more than 25 years in radio, print, television, and digital in Central Florida working with hundreds of business and advertising agencies across all business sectors with marketing strategies and execution. Ken spent a large part of his career in radio as General Manager with Gross Communications (WLOQ 103.1) and as General Sales Manager with Cox Media Group, specializing in building and training top performing sales teams. He and his wife own a Once Upon a Child retail franchise, which gives him a unique perspective as a business owner and an even stronger ability to understand his clients. 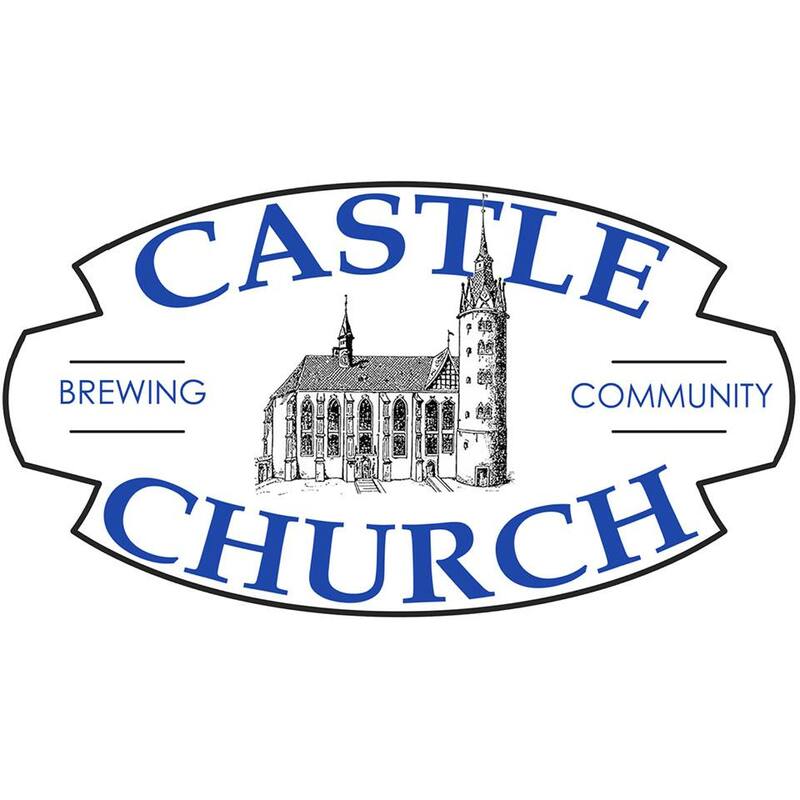 Ken lives in Belle Isle with his wife, Jen, and his three children, Jacob, Chase, and Rebekah. He graduated from Missouri State University on a racquetball scholarship, playing professionally for a brief time before moving to Orlando and starting his media career in 1992. Kenneth began his career working as an accountant in the time-share industry and transitioned into public accounting, with a concentration in charter schools and not-for-profits. Kenneth has approximately 20 years of experience performing governmental audits. Kenneth has spent many years auditing not-for-profits and governmental entities and has provided hundreds of hours as an independent contractor and consultant.